It’s not exactly groundbreaking, but here’s the lovechild of my two favorite syrups: ginger and lemongrass. The condiment shelves in my fridge are generally stuffed to the gills, and so I’m considering the consolidation of two bottles into one to be a step in the right direction. I’m not sure why I didn’t take the leap years ago. 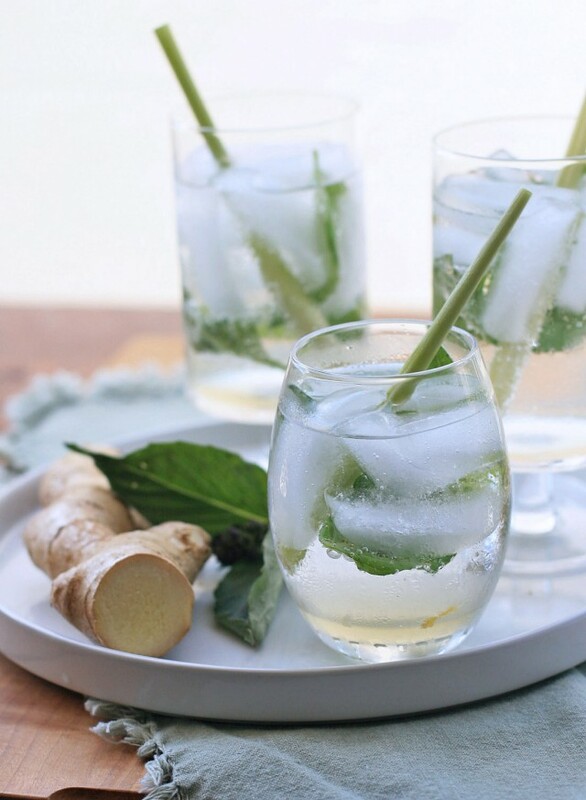 The syrup is surprisingly versatile… drizzle some into your tea, lemonade, or use it in place of simple syrup in your favorite cocktail to give it some Asian flair (a ginger lemongrass mojito sounds pretty fab). It can also provide a base for one heck of a fantastic mocktail. Recipe is coming soon, but here’s a sneak peek. 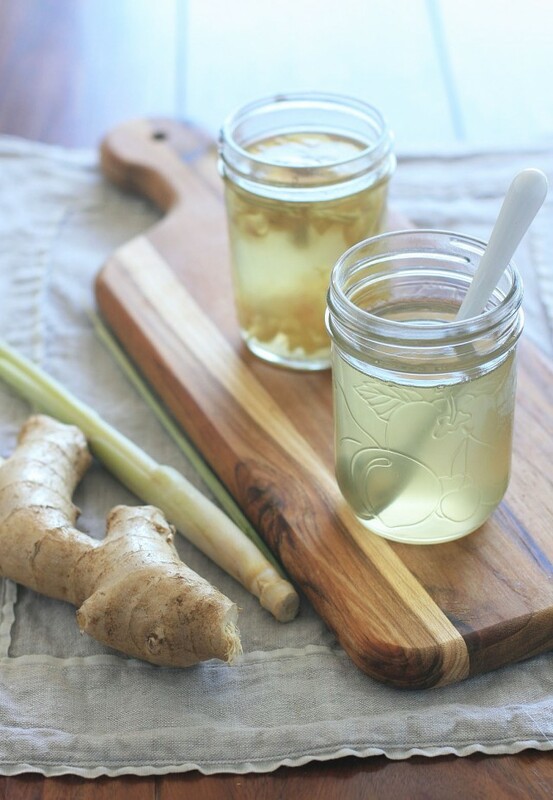 Combine the ginger, lemongrass, sugar and water in a small saucepan. Stir to combine and then bring the mixture to a boil. Reduce heat to medium-low and simmer for about 15 minutes to let the mixture reduce a bit. Remove from heat and let cool for about half an hour. Strain the mixture into a bottle or jar. Use immediately or refrigerate for future use. Will keep for several weeks in the refrigerator.